It’s hard to beat the fun of hiking with a dog. 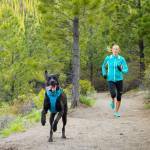 And with these essentials, you’ll be ready to hit the trail with your pup. Over the years, my dog, Baylor, and I have visited all of the United States (except Hawaii) and much of Canada together. Whether traveling in an old VW van or motorcycle camping across the country, hiking is always a favorite pastime – for both of us! And after countless miles, I’ve learned it doesn’t take much to have a good time on the trail, but it does pay to be prepared. For both your and your dog’s sake, make sure you bring the essentials. Many trails require a leash. And while I completely understand the appeal of letting Fido run free, a leash is an absolute necessity on busy, mixed-use trails. This not only keeps it fun for everyone but will also ensure your dog’s safety. 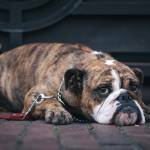 The Ruffwear Flatout Dog Leash ($40) is my all-time favorite leash. The metal “Talon Clip” quickly attaches to Baylor’s collar, and the accessory loop makes poo bags easily accessible. Best of all, the adjustable handle allows you to wear it around your waist or quickly attach it to a tree or post. 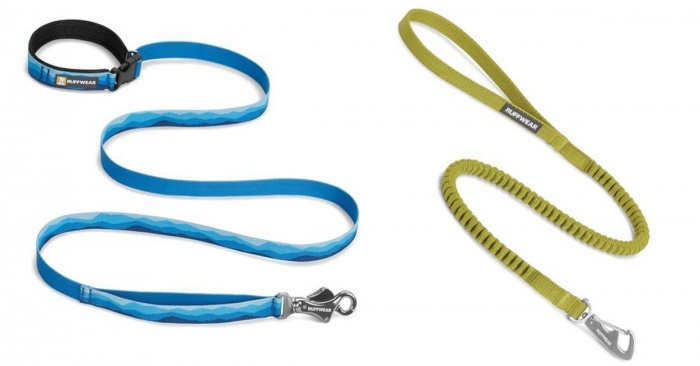 If you plan to hike through off-leash trails, the Ridgeline Leash ($25) is an excellent option. It packs up small while still offering a strong clip point and comfortable handhold. The Ridgeline is perfect for getting from the car to the trail or securing your dog in case of danger. Water is the most important concern while hiking with your dog. It’s great to consider water available on the trail, but don’t rely on it. Creeks can dry up, and overused trails may only offer overly dirty options, so it’s best to pack in the water you’ll both need. You can certainly train your dog to drink out of a squirt-top water bottle, but to save on water and maximize hydration, it’s worth carrying a bowl. The Ruffwear Quencher ($15) is an easily packable, lightweight option. 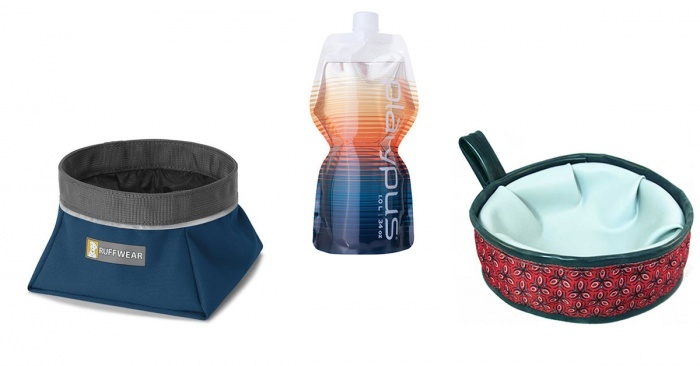 The Cycle Dog Trail Buddy Collapsible Bowl ($16) is another choice, complete with a recycling component. Made in the USA with recycled bicycle tires, this bowl folds up flat and holds about 20 fluid ounces. And for carrying water, you can’t go wrong with the Platypus Soft Bottle ($9). I especially appreciate the way it collapses when not in use. General guidelines recommend 1 ounce per pound, every hour. 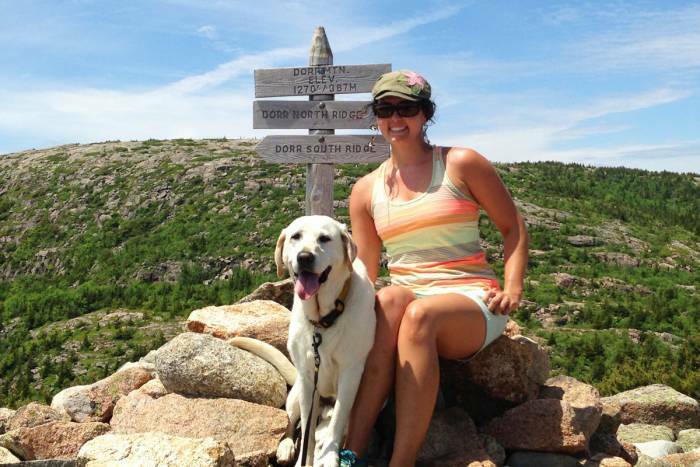 Plan accordingly for both you and your hiking pup. Accidents happen, and it’s important to be ready for the unexpected. The Trail Dog First Aid Kit ($25) from Adventure Medical Kits comes with all the necessities for a minor trail mishap. In addition to the usual items like antiseptic and gauze, it includes canine-specific gear, including small tweezers to remove splinters from paws, a self-adhering bandage that doesn’t stick to fur, and a triangular bandage that can be used as a muzzle to safely administer medical care. 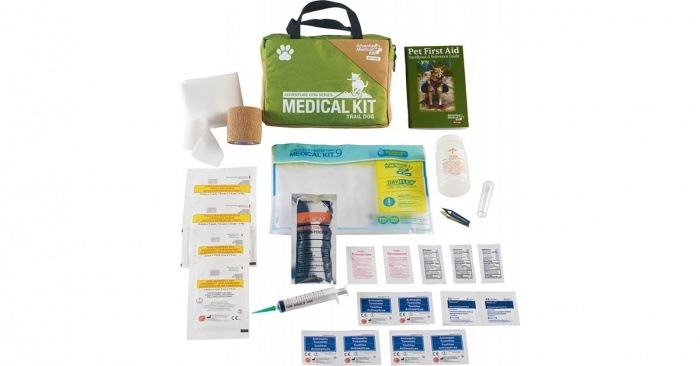 And if you’re planning a longer outing, or want a kit suitable for you and the pooch, check out the ADS Me and My Dog First Aid Kit ($50). Designed for trips from one to three days, it contains the essentials for both people and dogs. This kit includes ointments, bandages, a survival blanket, and more. It weighs a bit more at 1 pound 8 ounces but could be well worth it depending on the adventure. 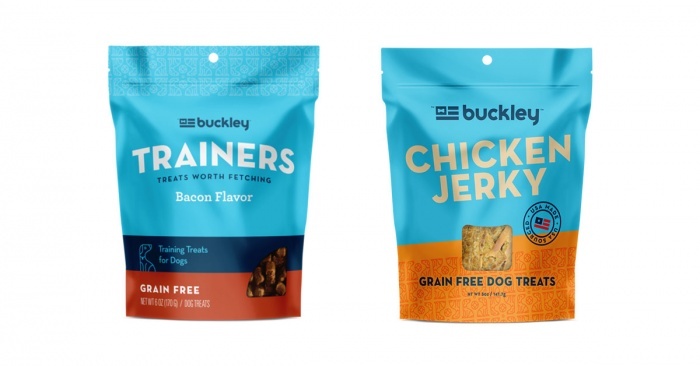 If you’re hungry on a hike, your dog is too. Come prepared with nutritious and delicious options to keep your buddy fueled for the adventure. Baylor and I are both big fans of Buckley treats. Made in Colorado, the brand takes great care to ensure the ingredients are healthy and tasty. The Chicken Jerky Dog Treats ($9) are my pup’s favorite and stand up pretty well to being packed around. But they can start to crumble if shoved in a pocket for an extended period of time. The Trainer Treats ($7) are a great choice for quick on-the-trail motivation and especially useful when teaching a young pup. 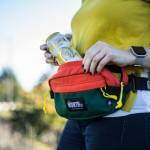 Sticking treats in the waist pouch on your backpack is a good idea; or, use a fanny pack. Above all, you want to access the treats quickly and easily. Sometimes, finding a place to hike is the hardest part. 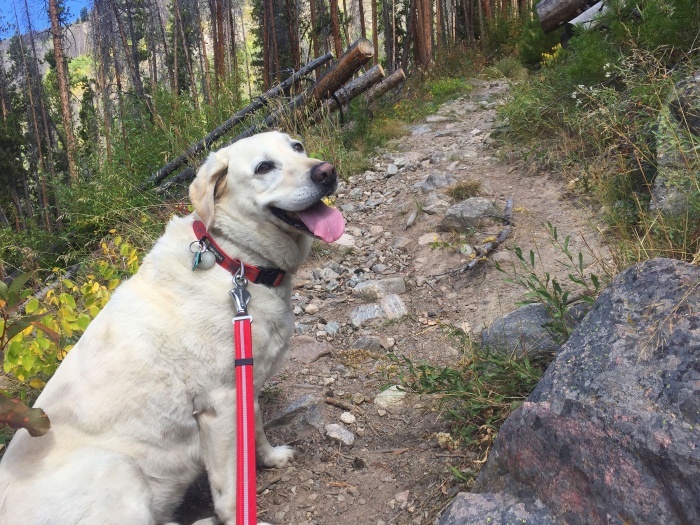 Luckily, the number of dog-friendly trails seems to be on the rise, and the internet makes it easy to find a pooch-approved trail. Bring Fido has long been a popular resource for searching out dog-friendly restaurants and lodging, and now the activities section includes a growing list of trails. Just choose your location, pick an activity from the drop-down menu, and you’ll get a list of trails complete with ratings and reviews. And if you’re an old-fashioned book lover like me, Canine Colorado is an excellent option, and Falcon Guides offer detailed info and hidden gems. And while it wasn’t mentioned explicitly, as it should go without saying: Pick up your dog’s poop and hike it out. Yes, it can be unpleasant, but it’s far worse to hike a trail littered with multicolored bags full of doggy surprises.